Soldering wires onto batteries becomes need-to-know if you are a hobbyist who chooses to save a few dollars by making your own battery packs. While it is a straightforward task, take care not to heat up the battery itself. Using the proper wattage soldering iron, usually 35 to 50 watts, and not allowing the iron to rest on the battery terminal for more than 10 seconds at most prevents overheating and damage to the cell, as well as minimizing any fire hazard in your work station. Clean and scuff up your battery terminal by placing a piece of 400 grit sandpaper over the eraser end of a pencil. Rub it lightly over the terminal in a circular motion. The idea is to remove any dirt or corrosion and lightly scuff the surface without removing any metal. Heat up your iron. Choose a tip that fits the size of the job. Use a smaller chisel tip for AAA batteries, or a larger chisel tip for D cells. Strip the end of your wire of insulation to about the diameter of your terminal. For multi-strand wire, twist the end of it to prepare it for soldering. Wipe the tip of your soldering iron on the wet sponge to clean it. Take a small amount of the solder and place it on the scuffed portion of the battery terminal to create a little pool. Place the wire next to it, reheat the solder and slide the wire into the melted solder. Hold the wire steady for a few seconds to ensure proper drying. Tug the wire to be sure you have a strong joint. Always use a good quality soldering iron to keep from damaging your cells. Solder containing rosin is cost efficient and low resistance, making it a good choice for this type of job. 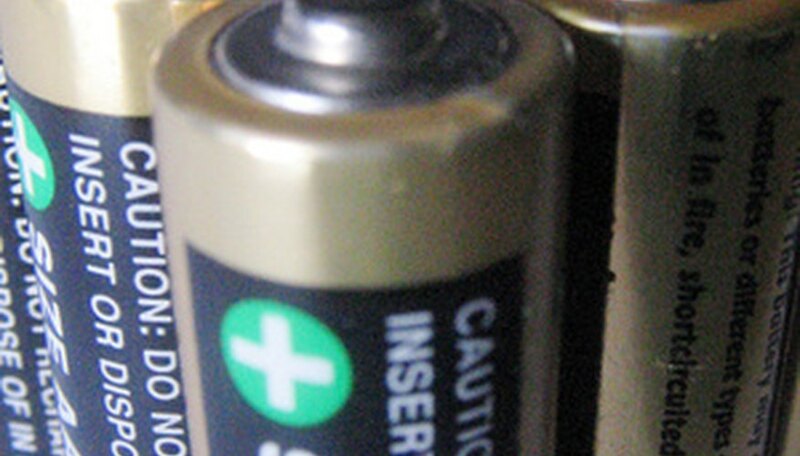 Do not use a soldering gun on batteries, as they put off too much heat and can cause serious damage. Use needle-nose pliers to hold the wire to keep from burning your fingers.